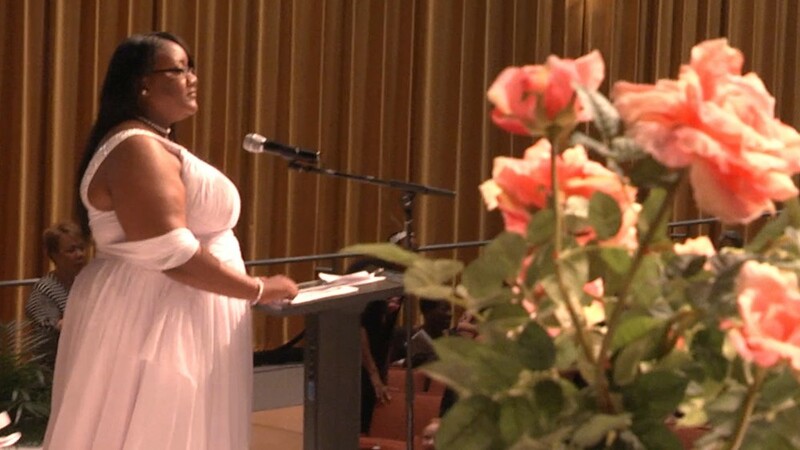 Graduation Day continues to top the list of most memorable moments for many students but to the young ladies at Detroit Public Schools’ Detroit International Academy for Young Women, this year’s commencement was truly one to remember. 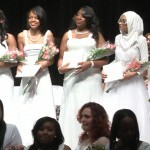 Detroit International Academy (DIA) for Young Women, the only public all girls kindergarten through grade 12 program in the state of Michigan, celebrated its 10th anniversary during the school’s first-ever “white gown” commencement ceremony. 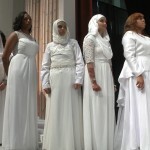 The ceremony was held on Thursday, June 4 at the Millennium Centre in Southfield. 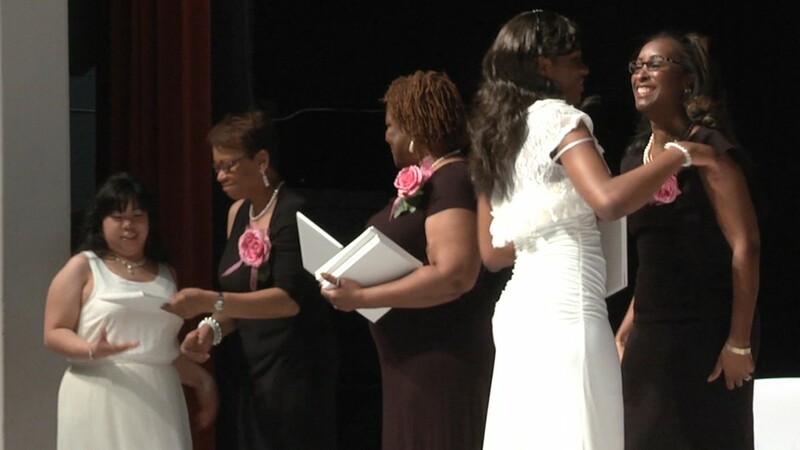 More than 60 DIA seniors, for the first time, received their diplomas while wearing beautiful long, white dresses donated and selected by students, with help from staff, contrary to the typical “cap and gown” theme. 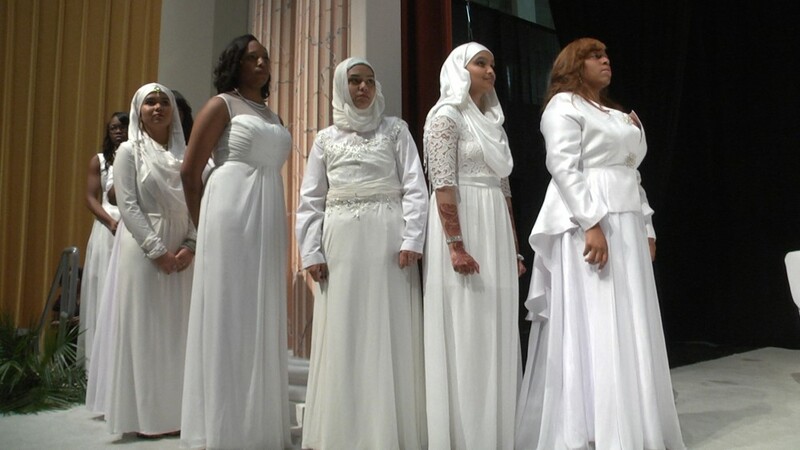 Preparation for the white gown commencement began last year. 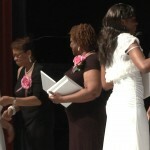 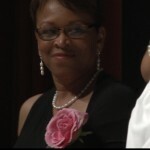 Teachers utilized multiple etiquette workshops throughout the year to further prepare the young ladies for the ceremony. 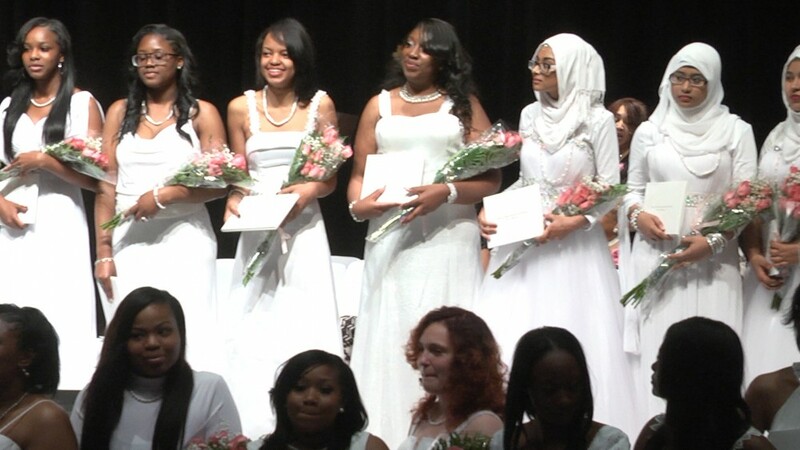 Brooks, who joined the DIA family two years ago mentioned that many of the girls are not only first generation college-bound students but are also first generation high school graduates in their families. 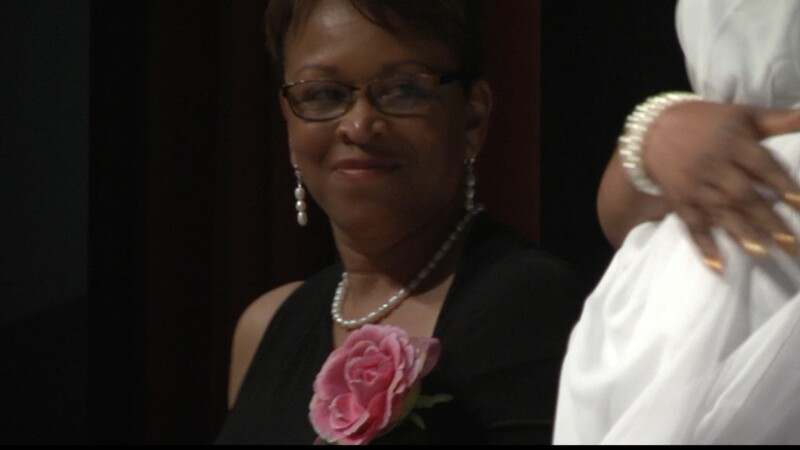 “The night was about celebrating them, how beautiful they are and how hard they have worked to get where they are today,” said Brooks. 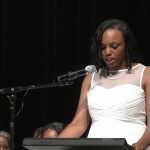 The memorable night also included special remarks and performances made by DIA students and notable district and city officials such as Alexis Wiley, Chief of Staff for the City of Detroit; Janee’ Ayers, City of Detroit Councilwoman, At-Large; and Karen P. Ridgeway, Detroit Public Schools Superintendent of Academics. 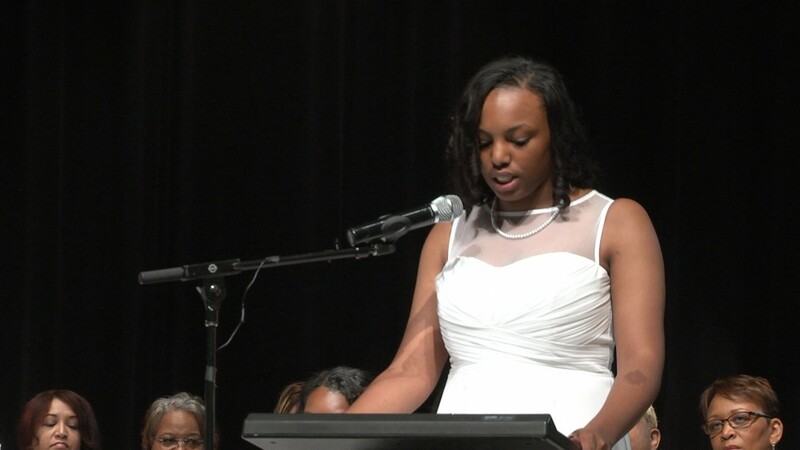 This entry was posted in News and Press Releases, Student Showcase and tagged 515.